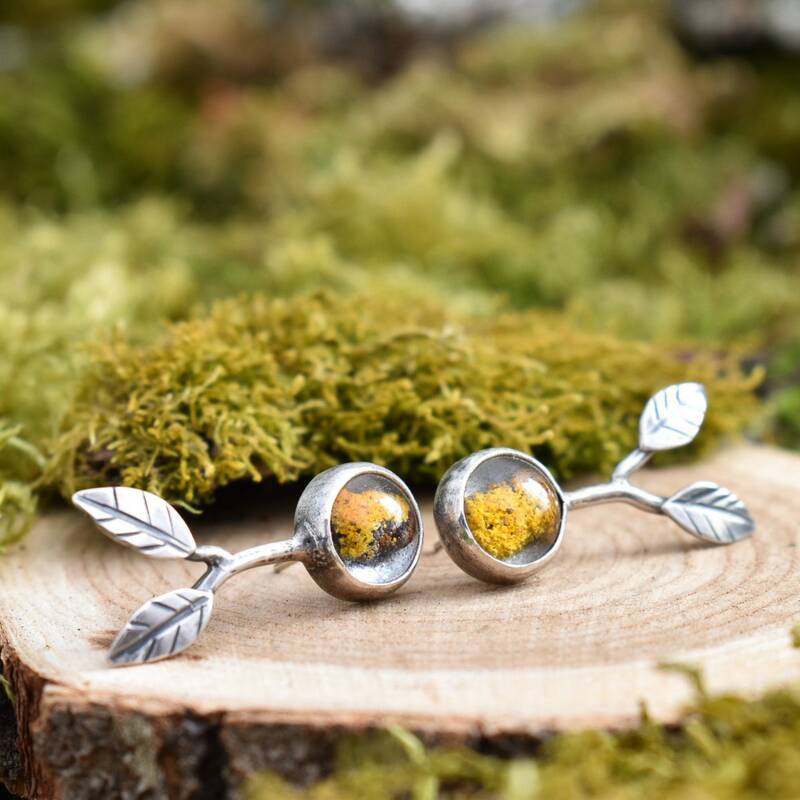 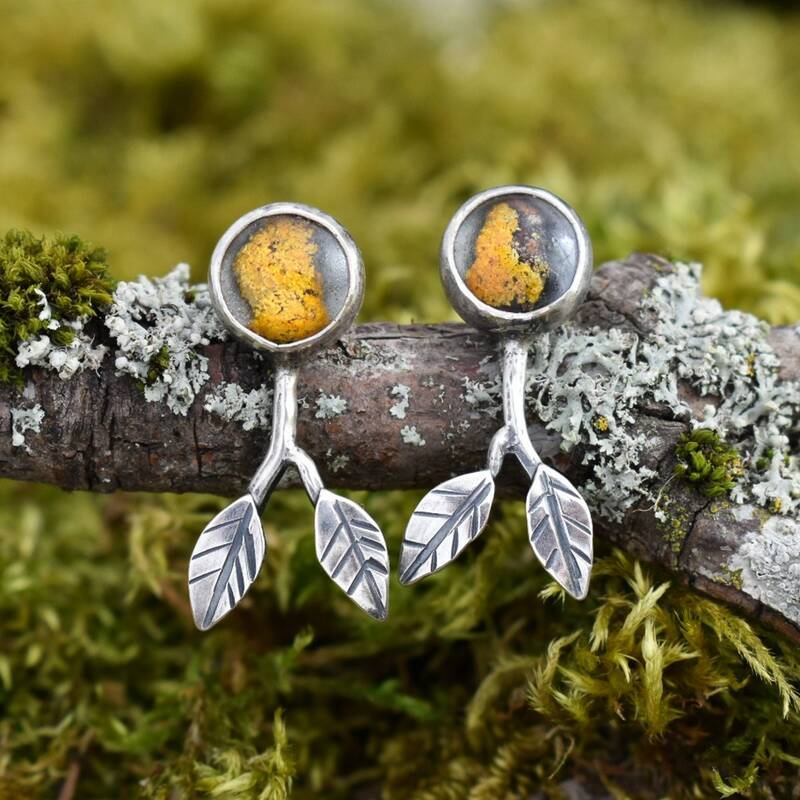 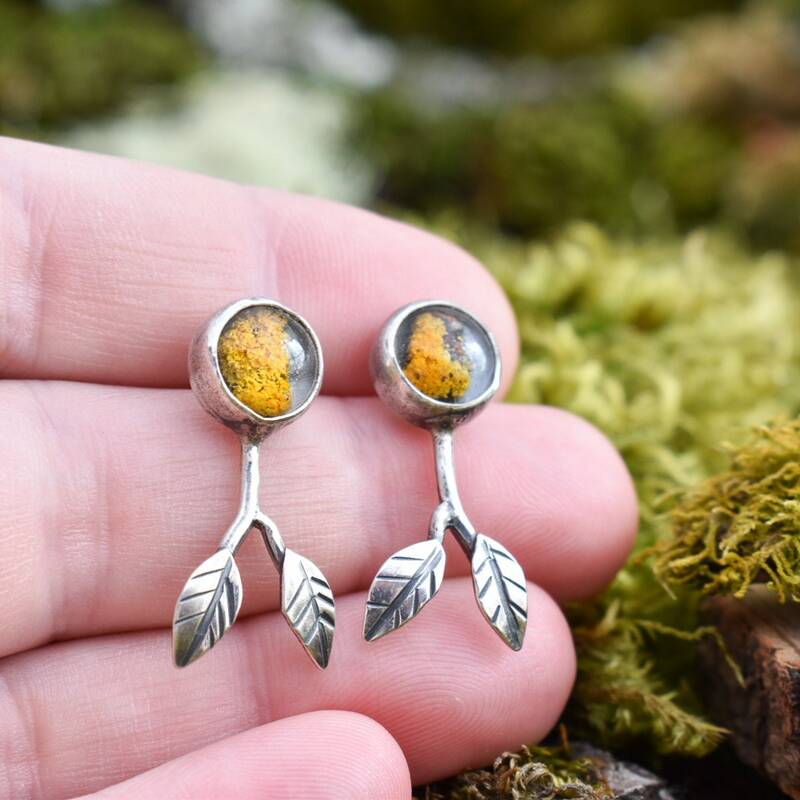 Showcasing two cabochons I created using real yellow cup lichen gathered from the forest floor and set in resin, these sterling silver branch earrings are created using cut, textured, and formed sterling silver sheet and wire. 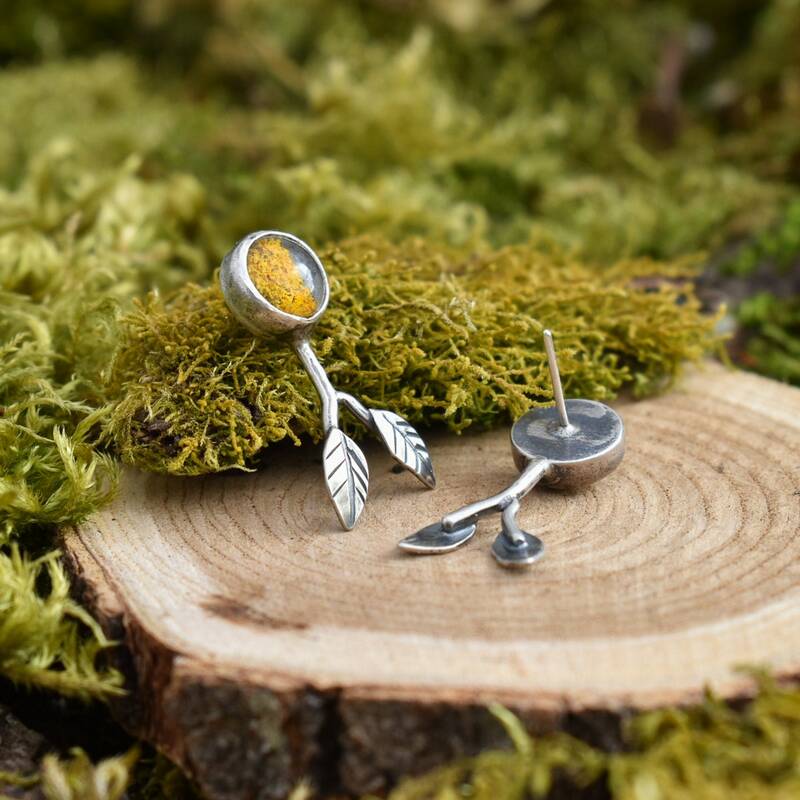 Each bezel set cabochon has a post soldered to the back. 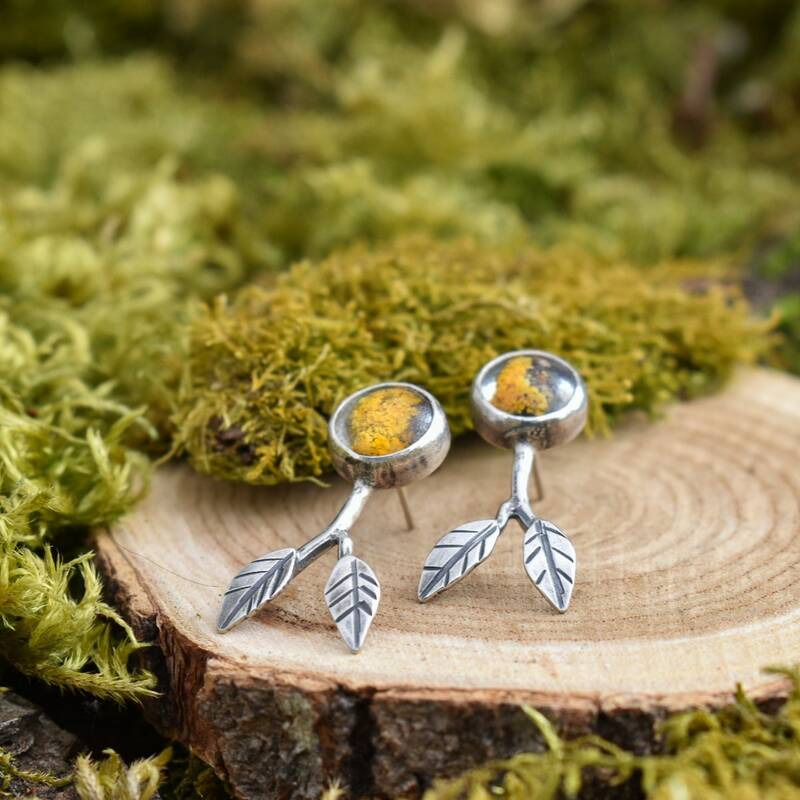 • Total Length: 1 1/8"